For nearly five decades, Premier’s commitment to excellence has remained constant. As our company has grown under the caring hands-on management of the third generation of family ownership, we continue to provide the finest quality products at the most competitive pricing. 2010 Premier Paint acquires Z-Pro allowing us to significantly introduce new, innovative lines to enhance our existing roller and brush programs. The core of our business philosophy is to serve our customers well and to help them increase their profitability. To meet our stated goal, we have purchased several competitors and enlarged our import division. Most recently, Premier acquired Z-PRO International of Portland, Oregon. The combination of these two organizations has allowed us to significantly introduce new, innovative lines to enhance our existing roller and brush programs. Premier’s expertise in manufacturing, combined with Z-PRO’s in-depth knowledge of importing, has led to many advantages for our customers around the world. Consequently, Premier will continue to be a full-service source for superior applicators. Our variety of paint applicators has grown to include an array of consistently high-quality paint sundries and accessories. Premier’s corporate headquarters, located in Richmond Hill, New York, occupies over 200,000 square feet. 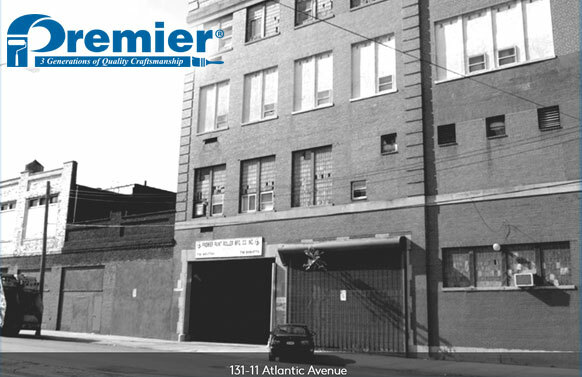 It is both our primary manufacturing and warehousing facility, servicing the East Coast. Our recently built 40,000 square foot facility in Phoenix, Arizona services the West Coast. With the addition of the new location, we are now more geographically situated to serve our customers in a consistent and timely manner. Furthermore, our office in Shanghai gives us a unique global sourcing advantage. The dedication of our employees, some of whom have been with Premier over thirty years, reflects the pride of this family-owned and operated company. As the largest and oldest independent paint roller manufacturer in the United States, it is our goal to continue our standard of excellence and commitment to our traditions as we grow alongside our customers in the years to come.